Every animal lover will remember the day they learned about the death of Cecil, Zimbabwe's most famous lion, who was lured out of his reserve by an American hunter and shot. The animal was left to suffer in agony for hours before it finally died. What made the news even worse was that Cecil was being studied by scientists to learn more about lion habits. Now, a similar story has emerged but this time the victim was an extremely rare type of elephant known as a "Big-Tusker." Big-Tuskers are elephants with tusks so long they reach the ground. According to the latest study, there are only around 30 left on Earth. Make that 29 -- unfortunately, one was murdered last month by a Russian trophy hunter on a Safari Club affiliated hunt. To make matters worse — like Cecil — the pachyderm was collared and was being studied by researchers. The hunters claim not to have seen the collar but even if that were the case, there are currently no laws in Zimbabwe that prohibit hunters from killing collared animals! It is unbelievable that Zimbabwe allows the murder of animals so important they are being specifically studied by scientists. It must stop. It is time to have your voice heard and demand that Zimbabwe stop these senseless killings. Help to make sure this never happens again. 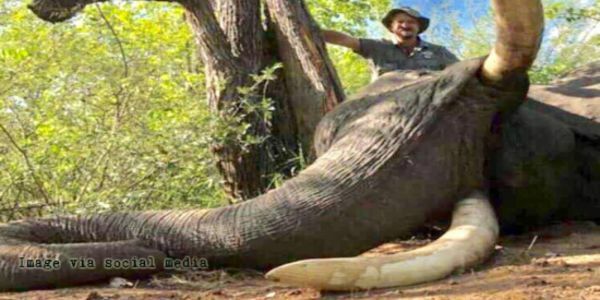 Ask Zimbabwe to ban the killing of ALL collared animals — and save the last of the "Big Tusker" elephants!